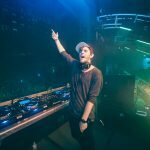 Whether he’s collaborating with DJ Diesel and Lil Jon or the Chainsmokers, NGHTMRE seems to have something under the hood that manages to keep fans on their toes at all times. This time around, the ace up NGHTMRE’s sleeve comes by way of a new collaboration with none other than A$AP Ferg. The Gud Vibrations helmer announced the new track and music video on his social media channels. Ferg and NGHTMRE’s new track is dubbed “REDLIGHT,” and it will be released on March 28. Given the new tune’s release proximity to Ultra Music Festival, it begs the question as to if fans can expect A$AP Ferg to make an appearance during NGHTMRE’s back-to-back set with SLANDER at the festival for what would surely be a raucous live debut of the new joint cut. 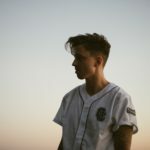 From the brief teaser video that was posted online, the “Grave” producer seemingly returns to his menacingly hard-hitting form on “REDLIGHT,” and with the assistance of the Trap Lord himself, NGHTMRE might have one of his biggest tracks of the year on deck just in time for one of his biggest festival outings of 2019.